Meet the demands of the studio. This light-support workout bra is made of moisture-wicking fabric. 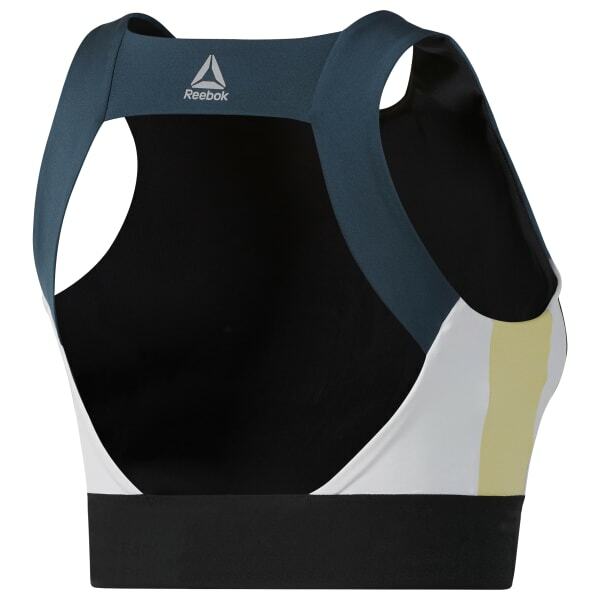 The modern design has a LES MILLS graphic in front and an open-back construction that increases airflow while adding style.